Motherhood comes with an incredible range of emotions that fill your heart to near explosion and fill your mind with worry and doubt. I am the youngest of five siblings, so the thought of becoming a mother always seemed overwhelming to me. I remember watching a busy young mom bounce a baby on her lap as she carried on an adult conversation and it seemed so NORMAL to her. Her child was doing anything but staying still and I watched in awe as she managed to hold it together even though to me it seemed like the most amazing thing, ever. My mom assured me that it would come naturally, all I needed to do was trust my instincts. I didn’t trust that it could be THAT easy. I read books, took classes as a teenager on child development and even had courses in college that helped to prepare me as a mother. But just as my mother had told me it wasn’t until I was in the hospital and handed that tiny, adorable baby that it all became real. It was time to trust my heart and do the very best that I knew how. Because that is what motherhood is, it is taking things a day at a time and doing the very best you can with what you have. One thing I want to make sure you know as a mother is that your “Mommy gut” and it’s instincts are your superpower. There will be so many decisions that will come your way, but you are best equipped to make those decisions because you are your child’s mom and that is everything. With each child I’ve had things have been different and I have had to adjust what I was sure I knew for something a little different that was tailored to that specific child’s needs. Jensen has very sensitive skin, so I knew I wanted to find diapers that would help protect his skin from diaper rash. I was so happy to find the new Pampers Pure diapers and wipes that are made with 0% chlorine bleaching, fragrance, or parabens. They’re hypoallergenic and are made with cotton and soft, plant-based fibers and other thoughtfully sourced materials. I love that you can actually feel the cotton and notice a tangible difference in the softness. Pampers Pure diapers have a darling modern design. 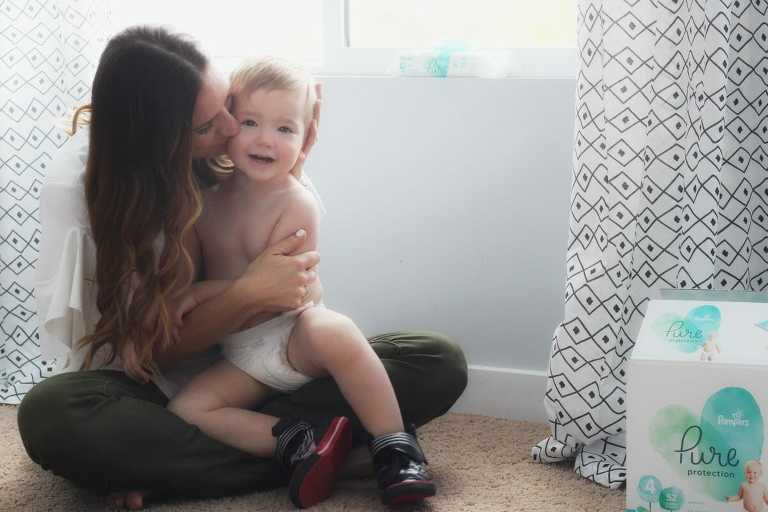 Protecting my baby’s skin is a high priority and I love that I can have up to 12 hours of leak protection that always comes hand in hand with the Pampers brand. Pampers Aqua Pure wipes are made with 99% water and are free of alcohol, parabens, dyes and fragrance. Pampers Pure Diapers and Pampers Pure Aqua Wipes can be found at Walmart.com in various sizes and they also qualify for free shipping once you spend $35 (that’s one box of diapers and one 6-count box of wipes!). Select sizes of Pampers Pure are also available in Walmart stores. I love using Walmart shopping online so this is an easy way to stock up without having to worry about a late night trip to the store for diapers. Motherhood doesn’t come with a playbook but it does come with your intuition, which is pretty dang amazing. And it doesn’t hurt that we have better products to choose from that make the journey a little less bumpy. 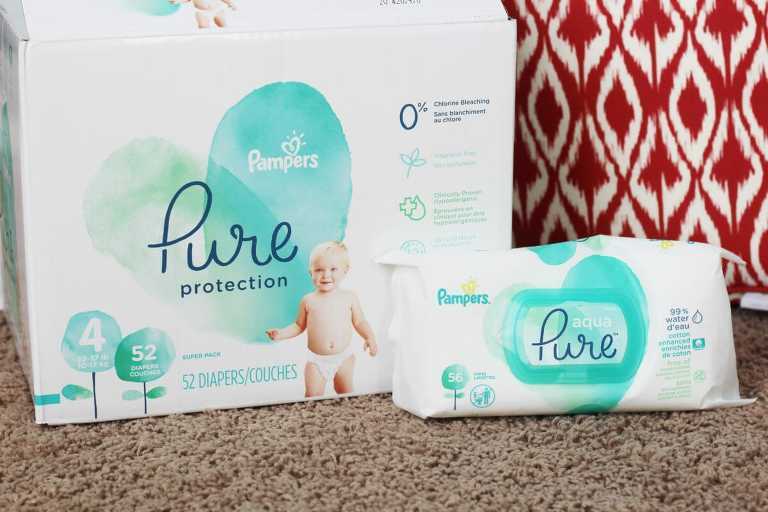 Try out the new Pampers Pure, you are going to love them! This is a sponsored conversation written by me on behalf of Pampers Pure at Walmart.com. The opinions and text are all mine.